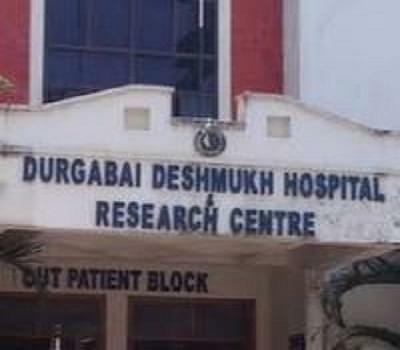 AMS Durgabai Deshmukh General Hospital and Research Centre (AMS-DDGHRC) is functioning since last 65 years in the heart of the Chennai City. It has empowered thousands of women to excel in the field of medicine and allied activities, through their various medical courses and live training provided within their hospital. They conduct GNM as full time for 3.5 years and MLT as diploma certification course of 6 months. Many of the students who have joined this Institute are successful professionals practicing in reputed hospitals. They also assure for placing within their hospital too after completion of their course as a trainee. The 24 hrs open Laboratory is one of the highlights of this institution. This lab is equipped with the latest medical equipments like Audiogram, Ultra Sonogram and ECHO Color Doppler. There are various clubs and social welfare organization linked to this hospital and conducts various health care programs, which are very beneficial for its students to gain experience from it. It has women’s hostel with excellent infrastructure. Students studying here can also participate in various women empowerment activities and welfare programs of AMS related projects. The hospital is known for its facilities in General Medicine, General Surgery, Obstetrics and Gynaecology, Pediatrics, Neonatology and Geriatrics. Specialists consultants from the following specialties like Dentistry, ENT, Cardiology, Diabetology, Endocrinology, Uology, Psychiatry, Pulmonology, Pediatric Surgery, Gastro-entrology are also available in the polyclinic attached to the hospital. The AMS is self is a welfare society for women and they help the poor and needy students in their institute. They also assist the weaker section of people by conducting various vocational courses to get them self reliant to become a self-employed.